This is the next bear (4th) in the designer series. He is limited to 2.008 pieces. This bear is the 3rd bear in de billboard series. He is made of maco satin. The drawings on the bear are hand made sketches of bears and animals made by Paul Steiff. The bear is 30 cm. / 12" tall and limited to 2008 pieces world wide. 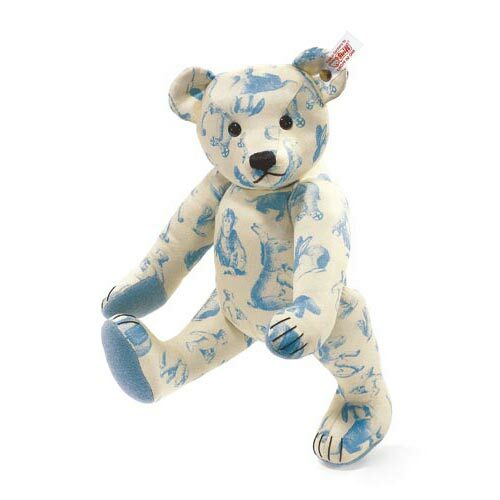 This is another novelty Steiff designed. 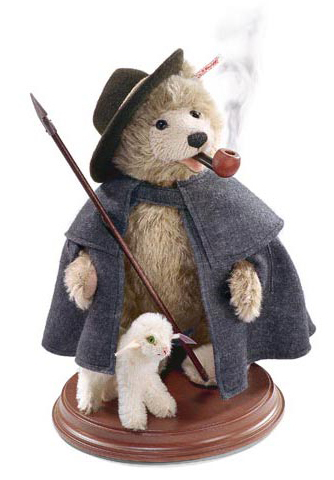 When you take of the hat there is a place where you can burn incense, so it looks like the bear is actually smoking. The bear is 24 cm. / 9.6" tall and the lam is 9 cm. / 3.6" tall. The set is limited to 3.000 pieces. 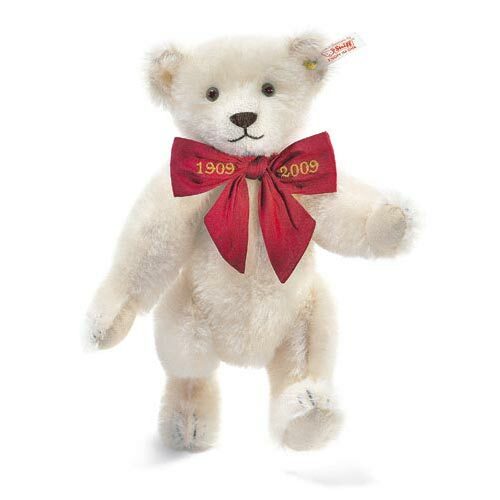 This bear is made to commemorate the year Margarete Steiff died 100 years ago. 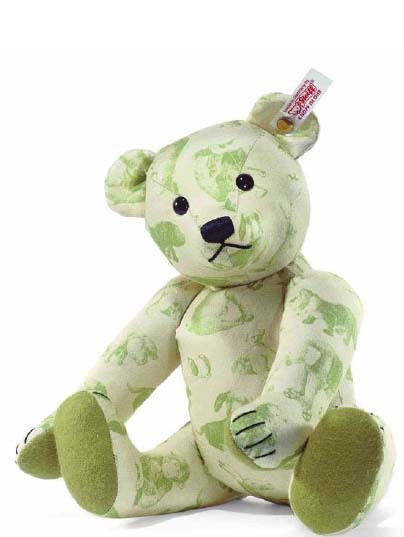 This gorgeous bear is 28 cm. / 11.2" tall and limited to 3.000 pieces. 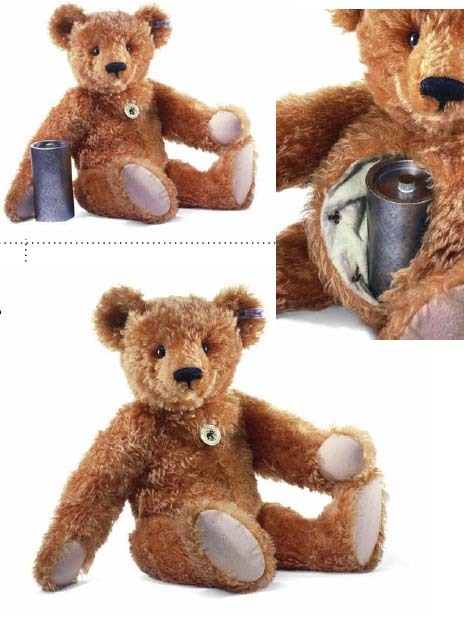 This bear is a replica of a hot water bottle bear Steiff made in 1908. He is 58 cm. / 23" tall and limited to 1908 pieces world wide. 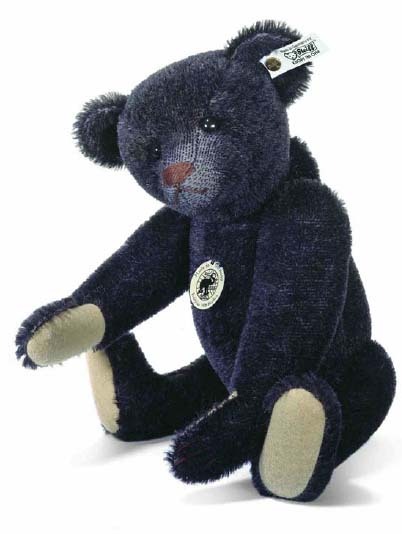 This bear is the last in the series of 1908 bears. He is 35 cm. / 14" tall and limited to 3.000 pieces world wide. He is stuffed with wood shavings.